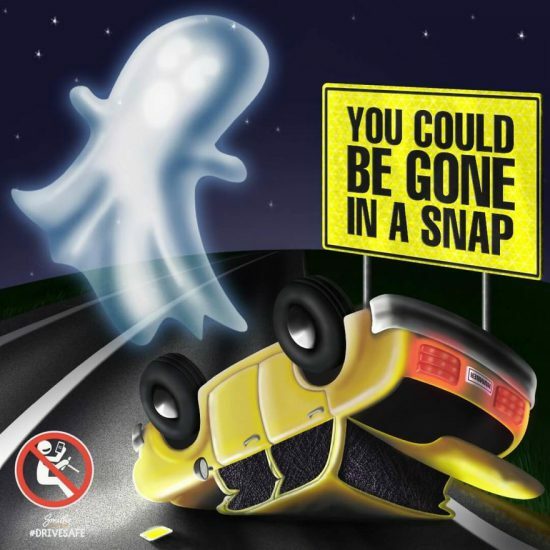 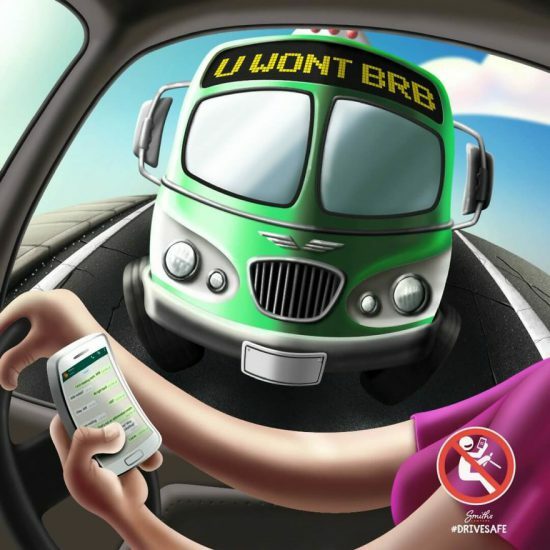 We all know that using our phones while driving is not only dangerous but illegal, but the temptation can be too great for many. 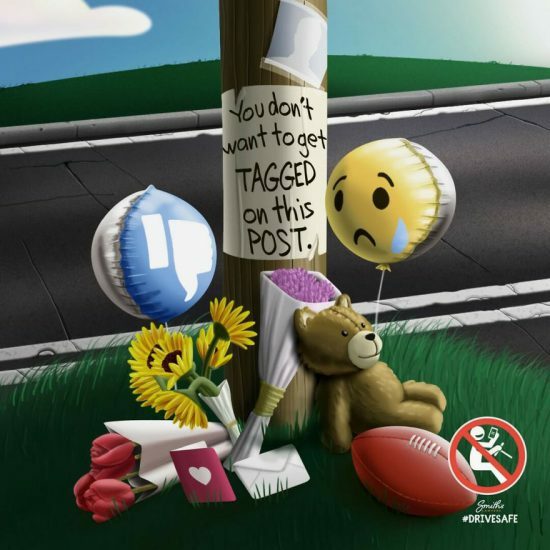 To help counter this issue, Smith’s Lawyers in Australia have launched a campaign to raise the awareness of the dangers that come with using our phones while on the road. 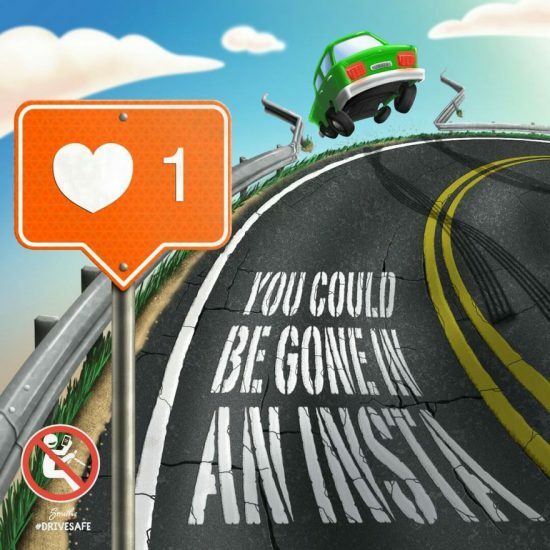 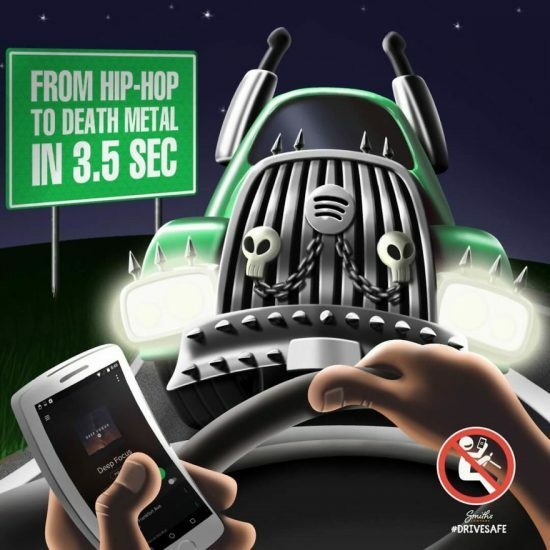 Illustrator Humbert Sanchez has created a series of road safety campaign images based around popular smartphone apps such as Instagram, Facebook and Spotify warning of the deadly consequences.